She calls herself "The Shadrow" on Instagram. And she's a total badass, fashionista, and sustainability champion. 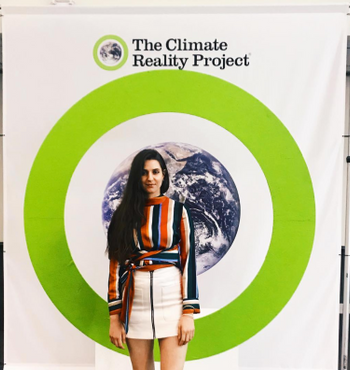 After connecting through the magic of TECHSTARS around our shared interests, we sat down with Alex Shadrow, CEO of RELOVV, about her mission to save the planet while monetizing your closet! 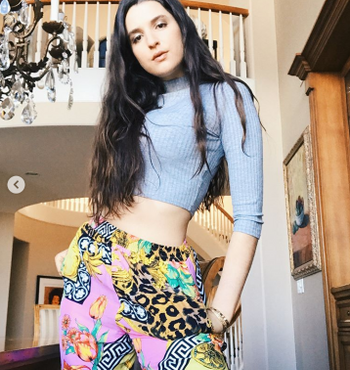 What are some inspirational outfits you've put together from rescued clothing? I got THESE PANTS, ripped at the knees, without a label. I tell myself they're Versace. 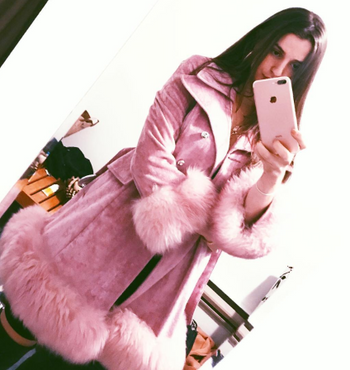 This VEGAN RELOVVED JACKET would make Elle Woods soooo jealous. This TWO PIECE DARK DENIM STUDDED SET, I mean - enough said. What does it mean to you to be a close part of the LA ecosystem for fashion x sustainability? I can't speak for all LA eco-fashion entrepreneurs, but I do think LA is on the cutting edge of merging style and sustainability. As a whole, we are challenging the notion that trendy items have to be "fast." At relovv, we are taking it a step further - we're challenging the notion that trendy and sustainable is expensive. We're making it accessible at Forever21 prices. Why work with Al Gore as a Climate Reality Leader? First of all, Al Gore is my version of Superman, so I jumped in with both feet. But for real, the climate crisis is the greatest threat to the human race - ever. Over 50% of all species on Earth are currently endangered #sign. The good news is we have hope right at our finger tips. For example, the sun gives us enough energy in 1 hour to power the world for one year. Don't even get me started on how amazing wind energy is. We can make huge progress by replacing fossil fuels with solar panels and windmills! Must we change? Yes. Can we change? Yes. Will we change? That is up to us. It is just as up to me as it is any of us. I knew by becoming a Climate Reality Leader I could spread the message and bring more people the POWER to change! Stay tuned for my "Truth in 10" video of everything I learned from Al Gore coming to MY INSTAGRAM soon. How can our community download your app and how does it work? 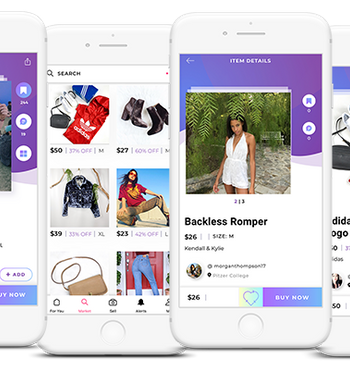 Relovv is the new and sustainable fashion marketplace. We match buyers & sellers like a dating app to get more items sold. We also curate the best of the best #relovved items so you always find something special and affordable. Go ahead: shop, sell, and relovv! I think most people are really interested in our relovv feature. Relovv is more than a name, it is also our patent-pending feature. Like pinterest's "pinning," relovv any item to your profile and earn money when it sells from your page. This allows the community to work together to get items sold and fulfill our mission to #ReduceReuseRelovv. See their upcoming event and network with NYC influencers and fashionistas HERE! Who Is The Queen of Raw?